BREMERHAVEN, Germany, July 16, 2013 (ENS) – Bowing to Russian objections, the countries that conserve Antarctica’s marine resources failed Tuesday to agree on two proposals to create far-flung marine sanctuaries in the seas around the southernmost continent. A special meeting of the Commission for the Conservation of Antarctic Marine Living Resources, or CCAMLR, that brought 24 countries and the European Union to the table ended without result. Similar talks also foundered in October 2012, but the CCAMLR countries will try again in three months time. CCAMLR has called special meetings only twice in its 30 year history, and this one was requested by the Russian delegation. But it was Russia, with support from Ukraine, that challenged the legal basis for the creation of large-scale marine reserves in Antarctica. The proposed protections are a Ross Sea marine reserve of 1.6 million square kilometers, where no fishing would be allowed, within a 2.3 million square kilometer marine protected area. The Ross Sea plan was proposed by the United States and New Zealand. 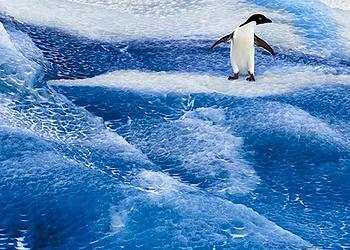 If approved by the CCAMLR member states, it would be the world’s largest marine protected area. Australia, France, and the European Union together proposed seven marine protected areas on the East Antarctic coast, covering an additional 1.6 million square kilometers. All of the CCAMLR member states, including those that had concerns about the two proposals, took part in negotiations. However, the Russian delegation, with support from the Ukraine, raised legal issues as to whether CCAMLR has the authority to establish marine protected areas. The Russian delegation objected despite the fact that CCAMLR established its first high-seas Marine Protected Area around the South Orkney Islands in 2009. The Ross Sea joint proposal by the United States and New Zealand would protect a full range of marine habitats from the ice edge to deep oceanic basins. The proposal includes winter ice free areas, the entire Victoria Coast from McMurdo Sound to Cape Adare, the Balleny Islands, and almost the entire Ross Sea continental shelf. This proposal would safeguard core areas inhabited by the Antarctic silverfish, a species that underpins the entire food web of the Ross Sea continental shelf ecosystem, which is unique in the Southern Ocean. The proposal also would fully protect the preferred foraging grounds of top predators that may compete directly with fishing, including penguins, seals and whales. These include a new species of fish-eating killer whales that was identified only recently. The proposal would protect habitats of particular importance, including juvenile habitats and spawning areas for Antarctic toothfish, which is the dominant top predator fish and the target of a valuable fishery. “The seven areas included represent features as diverse as deep, underwater canyons to nursery areas for krill; from unique mollusc populations to foraging areas for penguins and marine mammals,” Butler said. “The MPA also includes scientific reference areas where we can measure long-term changes and natural variability – essential pieces of information to ensure the conservation of key features and sustainability of fishing in the region,” he said. “We have every confidence that what has been proposed will offer the most pragmatic solution to ensuring that key biogeographic regions have the protection they need and deserve,” said Butler. But Russian objections blocked the marine reserves because the CCAMLR member states make all decisions by consensus. Russia is concerned that marine reserves would impact their fishing harvest. “The actions of the Russian delegation have stalled progress on protecting the Ross Sea and East Antarctica, and have put international cooperation and goodwill at risk, two key ingredients needed for global marine conservation,” said Andrea Kavanagh of the Pew Charitable Trusts, a member of the Antarctic Ocean Alliance. Dr. Tony Fleming, the leader of the Australian delegation to CCAMLR and director of the Australian Antarctic Division, said that while the decision was disappointing for Australia and others, he believes progress has been made. “We worked hard to collaborate, consult and develop the proposal with all CCAMLR nations, and we were hoping that all nations would come on board and support the proposal,” Fleming said. “Between now and the next CCAMLR meeting we will continue to work hard with all CCAMLR nations to progress the East Antarctic proposal, and address any outstanding concerns in order to reach agreement. Australia remains optimistic. We received many positive and constructive comments on the proposal that has been developed on the basis of the best available science,” Fleming said. The next CCAMLR Meeting will be held in Hobart, Australia, from October 23 to November 1, 2013. 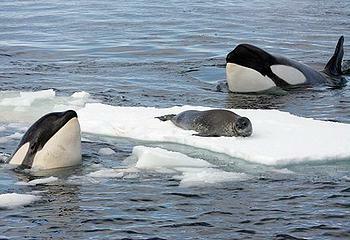 CCAMLR is an intergovernmental organization that was established by international treaty in 1982. CCAMLR is part of the Antarctic Treaty system which has provided the platform for international collaboration in the Antarctic over more than five decades of global political and economic change.